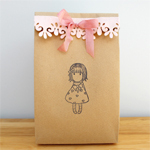 Let me share how I made these cute little flowers. 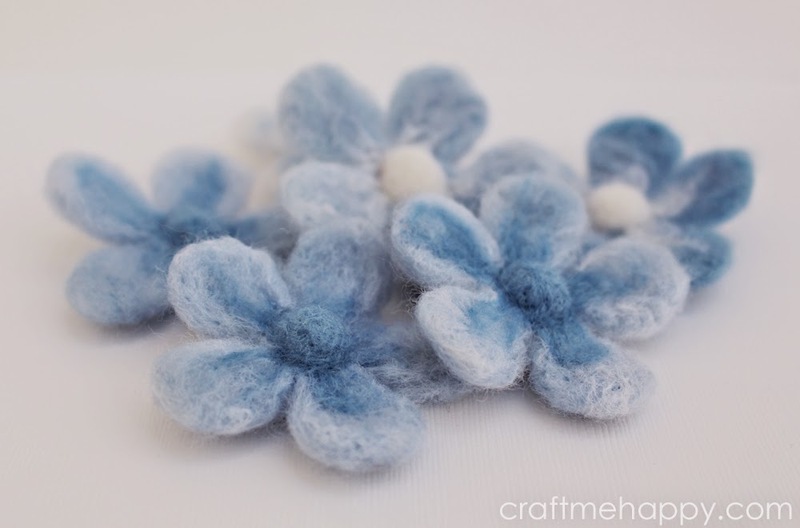 Anyone that has tried needle felting will tell you what a hugely satisfying craft it is. There's something strangely therapeutic about stabbing a big ball of fluff and watching it turn into a solid piece of sculpture. It's the perfect craft for letting off steam. 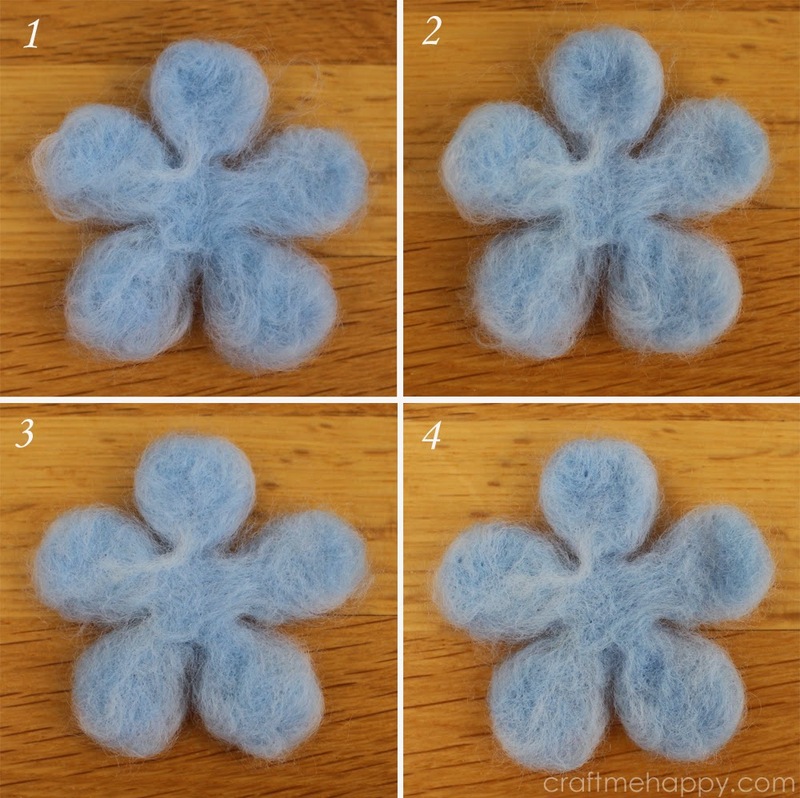 One of the easiest techniques for creating needle felted shapes is using the cookie cutter method. 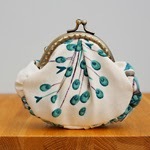 Basically, you just stuff a cutter shape with loose roving or tops and then keep prodding and poking it with a felting needle until all the fibres felt and mesh together into a solid shape. I'd still class myself as a novice needle felter, but you get pretty passable results even as a beginner. 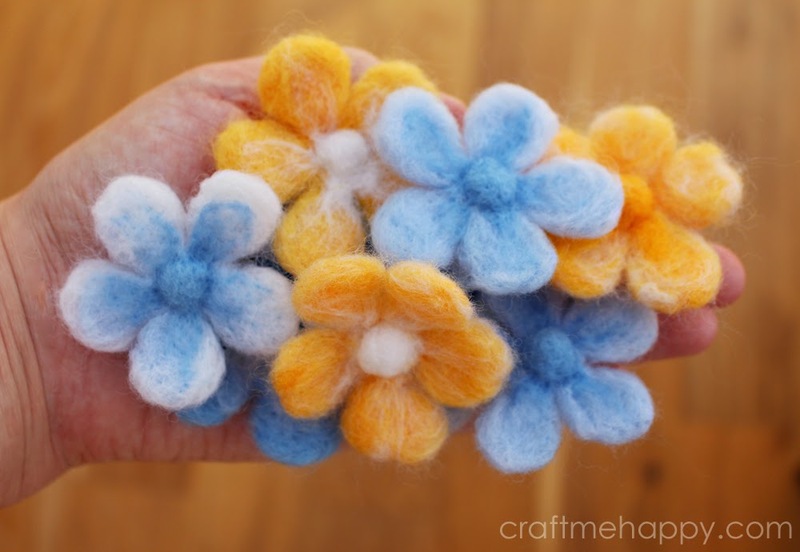 These flowers are the perfect starter project if you want to try out needle felting for the first time, as they combine both cookie cutter needle felting and some simple sculptural needling techniques. 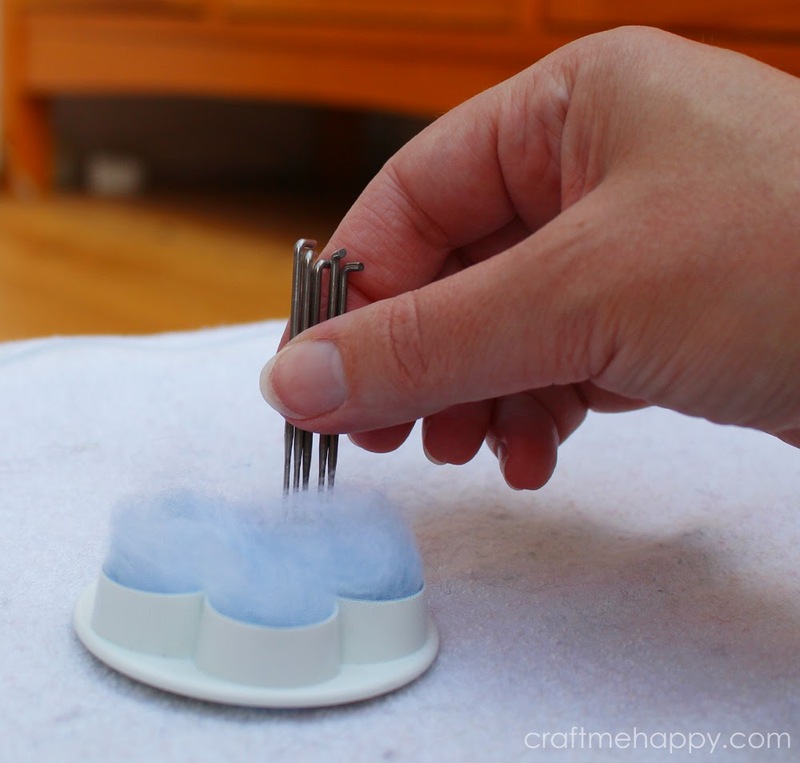 Needle felting is pretty inexpensive to get started and the supplies are becoming easier to find. 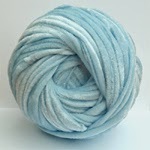 Wool tops, roving, sliver or shredded pure wool yarn. Felting needles. 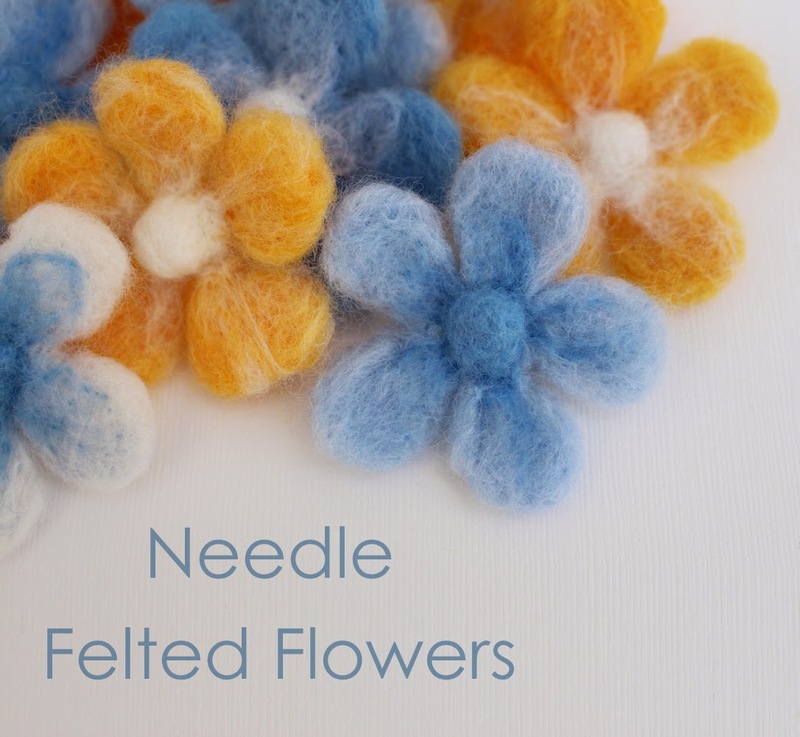 A lot of needle felters use thicker felting needles to begin with and then gradually reduce the width of the needles so that the holes become less prominent as the piece is finished. 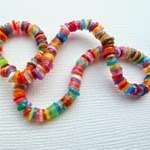 I tend to use just a size 38 triangular needle, but I use 4 or 5 at a time to start with. 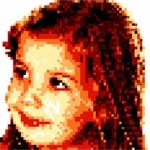 I then reduce it down so that I'm doing the final sculpting with just 1 needle. Thick foam or felting brush to felt on. 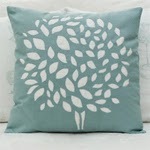 I use an old memory foam pillow, (hence the unattractive towelling cover). 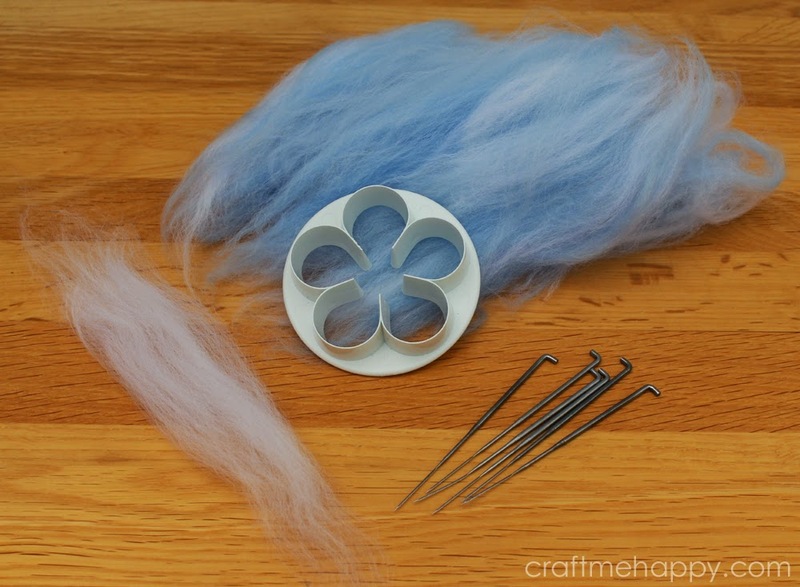 Carders or wool combs are optional, but they do help with blending colours and seperating the fibres before you begin felting. 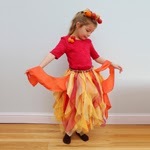 Firstly you need to prepare your fibres for felting. I have a stash of dyed merino tops as I do quite a lot of spinning, however the fibres are a little too neatly lined up for felting, so I need to tease them and mix them up a bit. 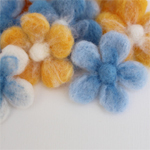 I hand card the fibres, but just separating the fibres with your hands will help in the felting process. I blended 2 colours together to get a more natural look. 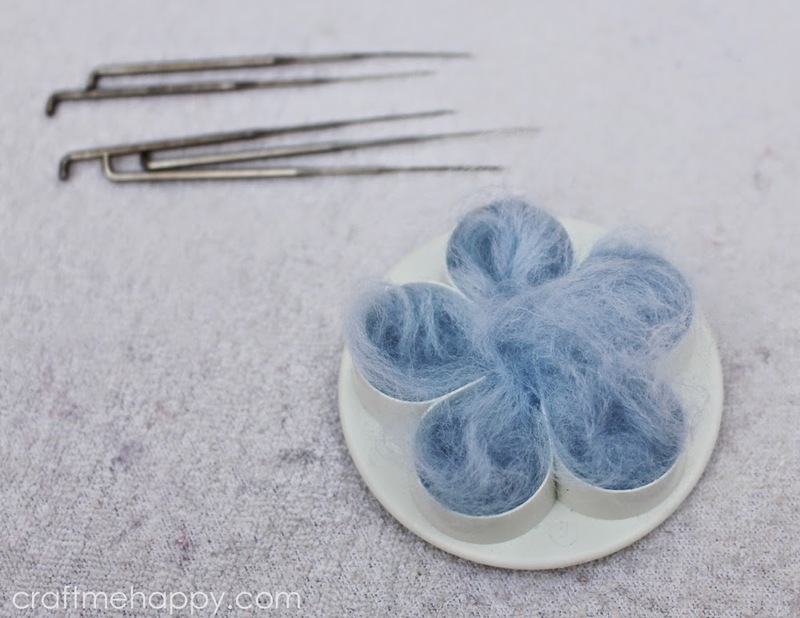 I've used a sugar flower cutter as opposed to a cookie cutter as it's just a bit more comfortable to hold and the extra circle around the base of the cutter keeps your fingers a little further away from the felting needles - watch out, those needles are sharp! Stuff your combed fibres into the cutter, making sure that they all pass across the centre, so that all the petals are firmly attached. 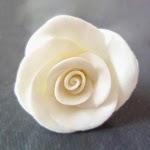 With practice it's possible to get a finished flower that has lighter outer petals and a darker centre (or vice versa). Now take your felting needles and just keep prodding inside the cutter until all the fibres have reduced down and are just filling the bottom of the cutter. Here's a short animated gif showing my needle felting technique. 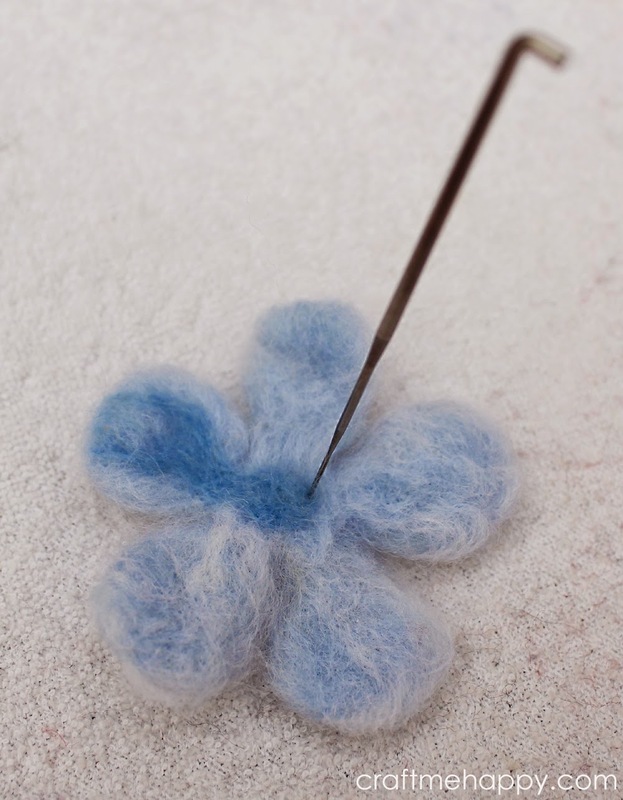 The felting needle has little tiny barbs on the edges causing the fibres to become tangled and compacted with each insertion. The more you poke and prod, the denser your wool will become and the more it will shrink or felt. 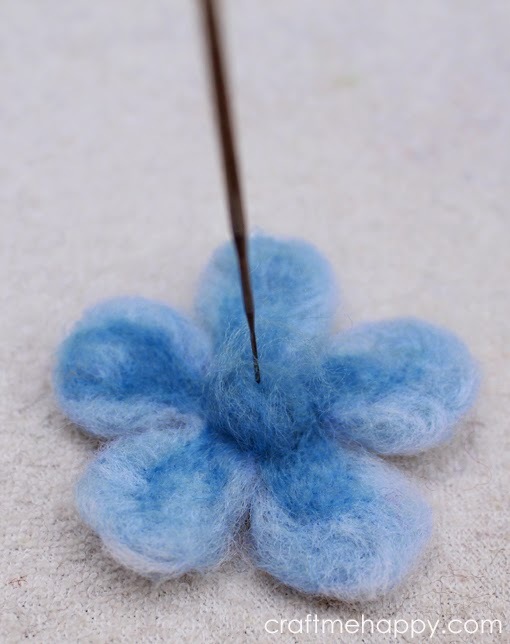 I found that turning my flower and repeating the felting process when it appeared to be quite compacted at the base of the cutter helped to create a nice dense flower. 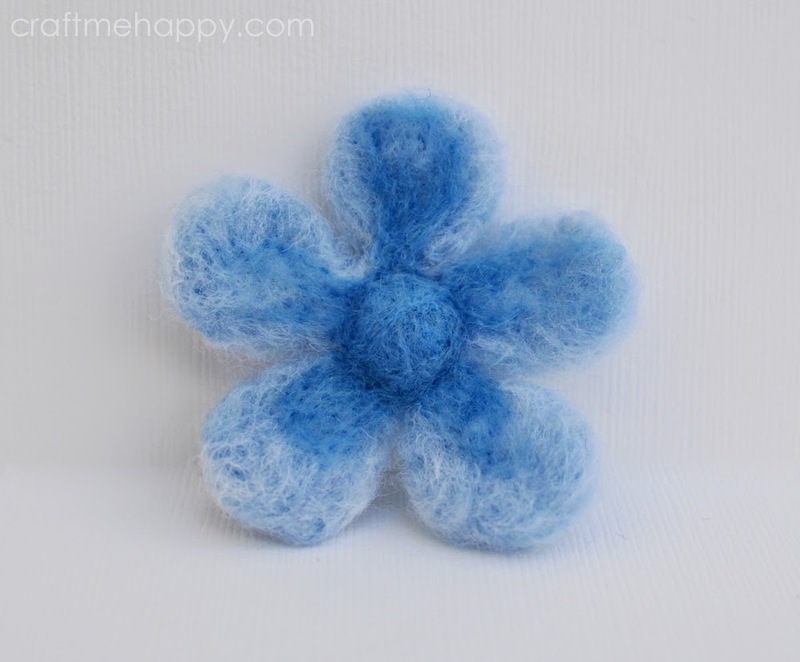 Here it shows the flower becoming more and more felted with each turning. By the end of the 4th stabbing it was time to move onto the next stage. This process combines 3 steps in 1 - adding additional colour to the petals, creating a flower centre and further felting of the petals. I use just a single needle for the remainder of the flower. 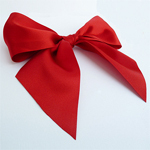 Pull out a thin wisp of fibres in a contrasting colour and lay it over one of the petals. 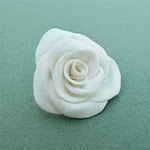 I tend to place it so that one end is positioned just past the length of the petal I want to work on. Now insert the needle repeatedly at the base of the petal and gradually work your way up the petal until there is no more contrasting fibre left to secure into the petal. 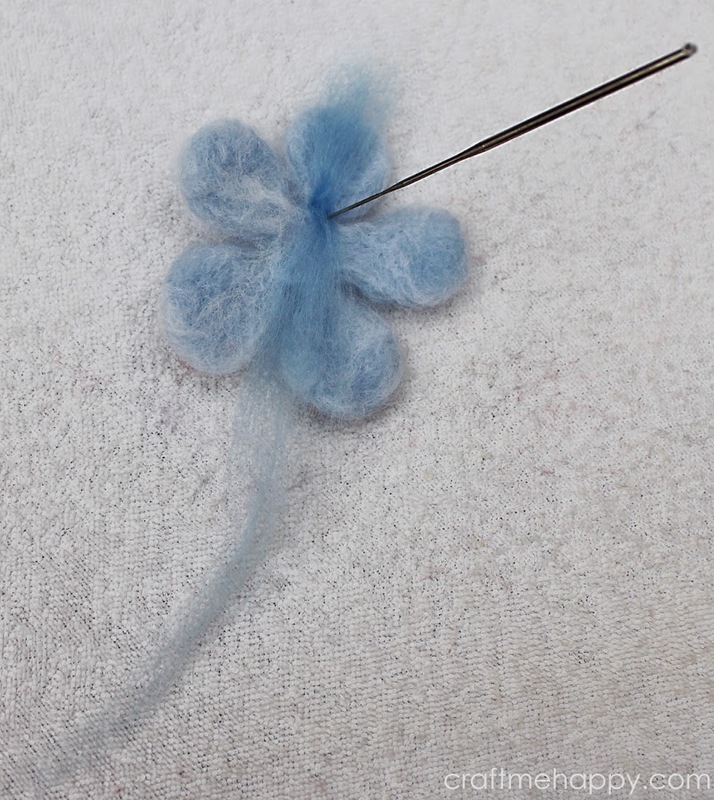 Secure the tail end of the contrasting fibre by needling it into the flower centre. Try to work it into a dense circle. 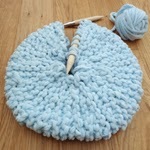 To speed up the process of bringing the long, loose tail together I use a combination of gently swirling it around the needle end and prodding the loose fibres into a circle shape. The flower centre will become bigger, denser and higher as each petal is worked. Work your way around each petal, adding a thin layer of colour and needling the remainder into the centre. Keep working on the centre until it becomes quite dense with very few fibres sticking out. Once the centre has come together, the flower just needs a little neatening around the edges to get rid of its slight fuzziness. I tend to do this by lifting the loose fibres with the end of my needle and almost 'folding' the stray fibres in. Needle felting is not an exact science and everyone's style is different. Some people leave their pieces quite loose, while others keep working until it is very dense and solid. I tend to keep poking and prodding until it feels like a fairly durable piece, with very few fibres sticking out, but it's still fairly soft and squashy. 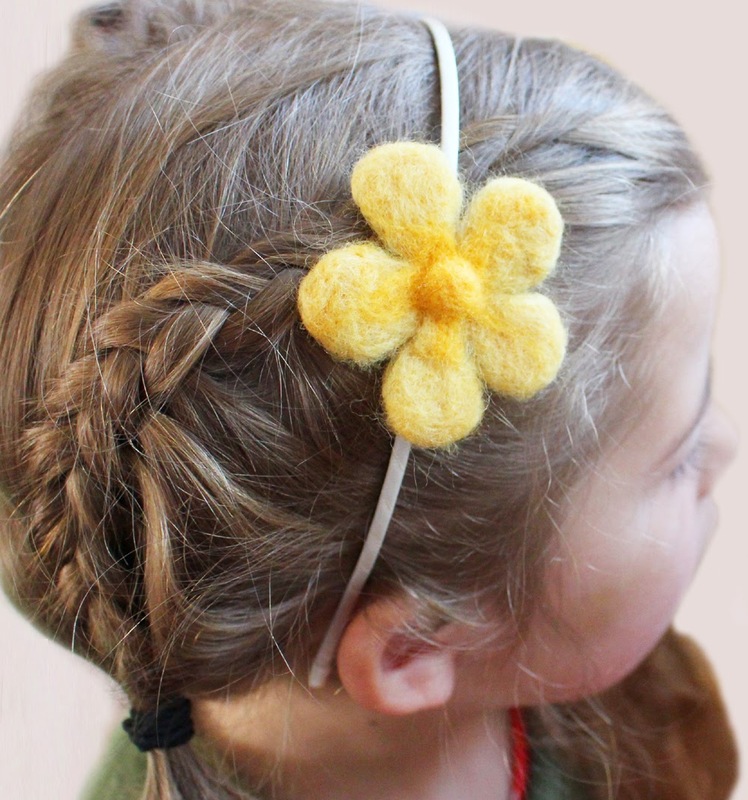 I added this one to a headband for my daughter and I'm thinking of stringing a rainbow of pastel flowers into a garland to decorate her bedroom. 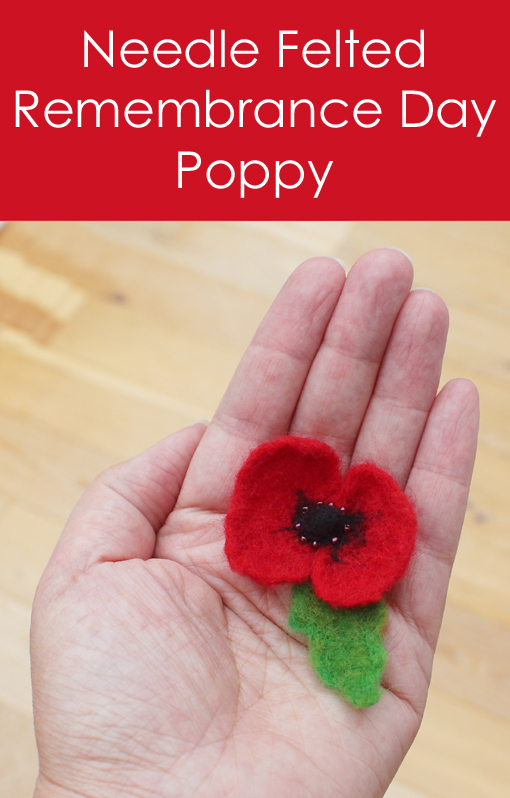 If you enjoyed this post, you may also enjoy my post about making a Remembrance Day poppy. These instructions are excellent😄 So easy to follow. I can't wait to have a go later today. 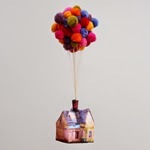 You should publish aNeedle Felting book - I would certainly buy a copy!!!! 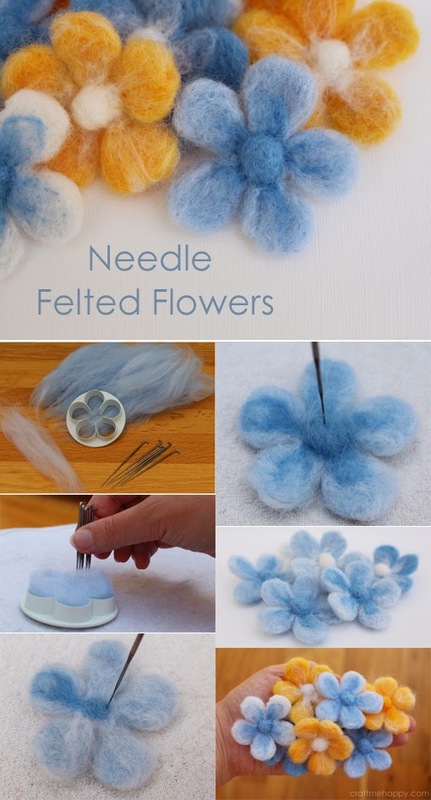 What a great idea for simple shapes they look lovely, i find needle felting very therapeutic.This would be a great idea for making small items for a charity fundraiser, thank you for sharing.